Mikki Towler of The Antique Kitchen launched her new website this week and it looks fab! It is now responsive, so her customers are able to access her website from Mobiles and Tablets as well as desktop computers. Read on to find out how Mikki found the transition from her old website to her new one. "The Antique Kitchen" was started mid 2012 and is a website specialising in Georgian & Victorian Pine & Country Furniture, Treen & Quality Pieces of Kitchenalia. Most items are related to the kitchen in some way but you will find other items in the Miscellaneous section too. Based in Norfolk, Mikki has been dealing in Antiques now for just over twenty years. Mikki regularly sources specific items for clients/TV where she has built a reputation on trust as she sell only genuine antiques. Mikki sells no reproduction items of any kind. 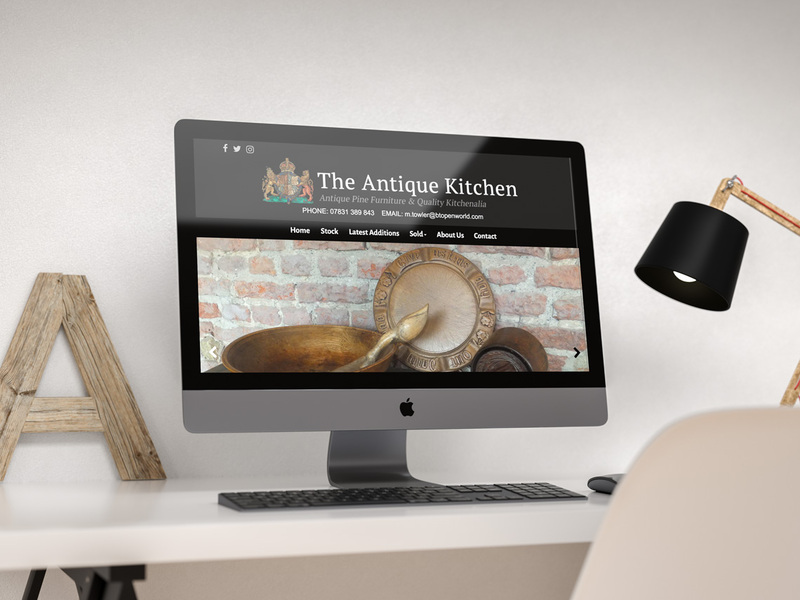 Mikki has been with Antiques Web Design since around the time that she started the Antique Kitchen and started on one of our original websites and it has truly been a pleasure to see her business grow and flourish. As her website was setup with us many years ago and was getting a bit old, we've upgraded her to one of our latest websites using a new theme. Mikki's new website now has a website which is fully mobile and tablet responsive, has some great new features and is easier for her to use. "The switch over was much easier than I thought..infact another dealer phoned me to say it was live…very quick very easy. The change in format of the new website is easy to understand and as usual ph9 were very helpful. Its great, I love the website and the latest additions mailshot is far better…everything thats sold doesn’t appear which was a downfall of the last website. My only real expense was having to buy a new iPhone 8 to make sure my pics were up to spec!! Thanks Rob and Sharlotte and James of course too"